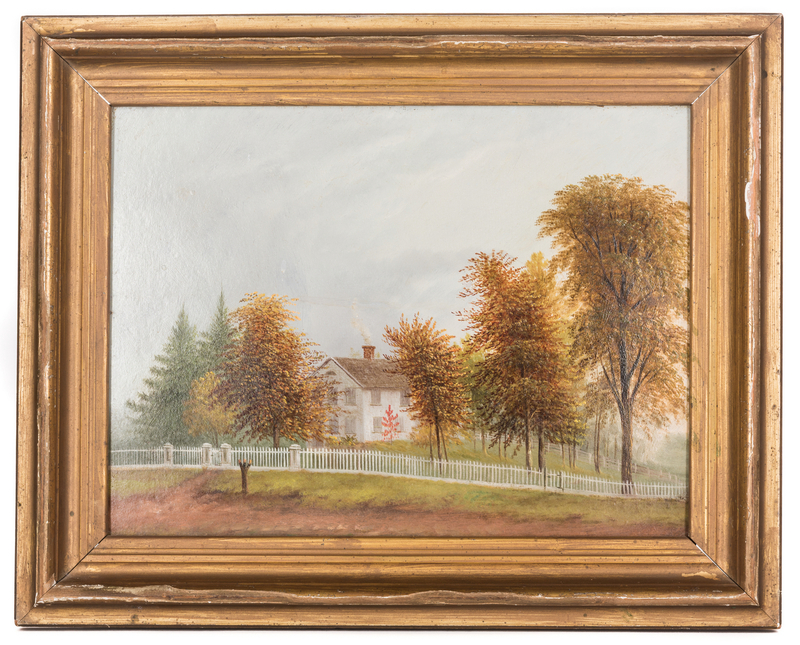 American School, 19th century, oil on artist's board autumn landscape painting, titled en verso "The Old Homestead/1 yr. Chili Ave./Rochester, N.Y.", depicting a white house among trees with a white picket fence in foreground. 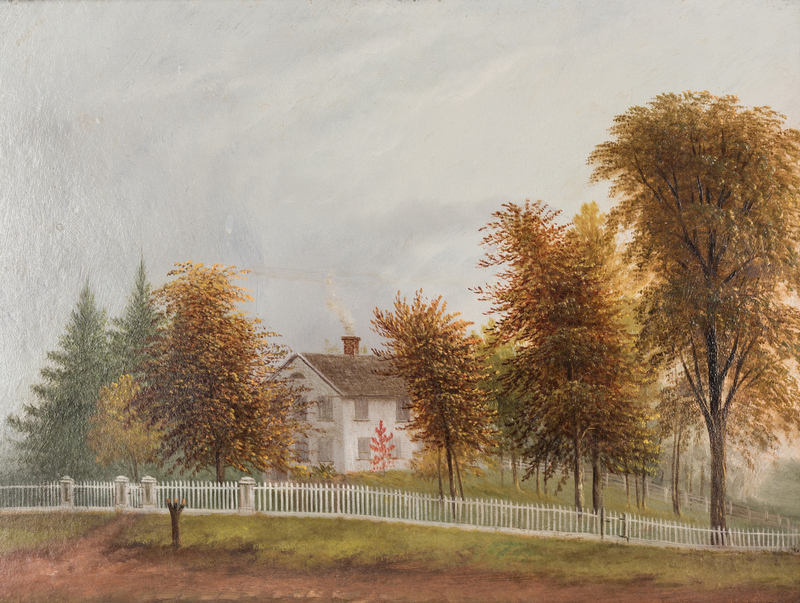 Unsigned, but likely by the Rochester artist James Harris (New York, 1811-1874). 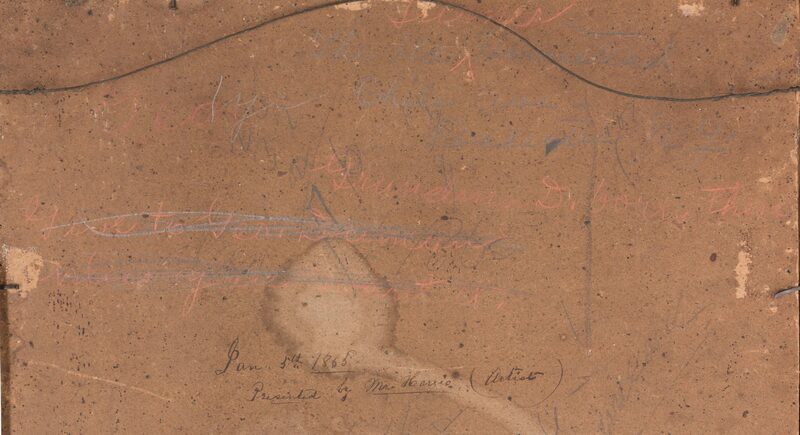 Ink inscription en verso reads "Jan. 3th 1865/Presented by Mr. Harris (Artist)". Red writing en verso reads "Turner Grandma D born there. Give to Geo. Duncan unless you want it". Housed in a gilt and gesso wood frame. 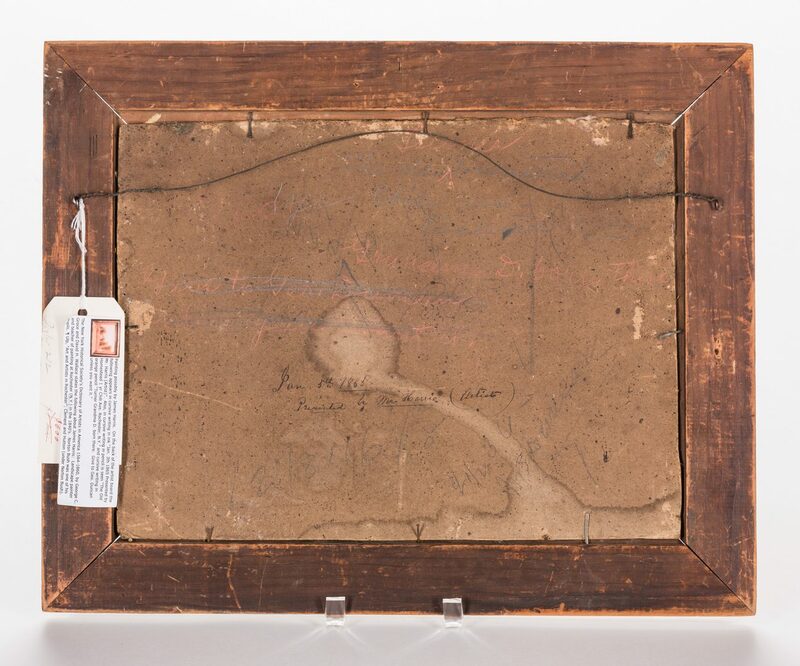 Sight: 12" H x 15 1/2" W. Framed: 16" H x 20 1/4" W. 2nd half 20th century. Note: An artist by the name of James Harris is mentioned in the AskArt biography of Norton Bush: "Norton Bush was born in Rochester, New York and took his first art instruction from James Harris, a local artist". 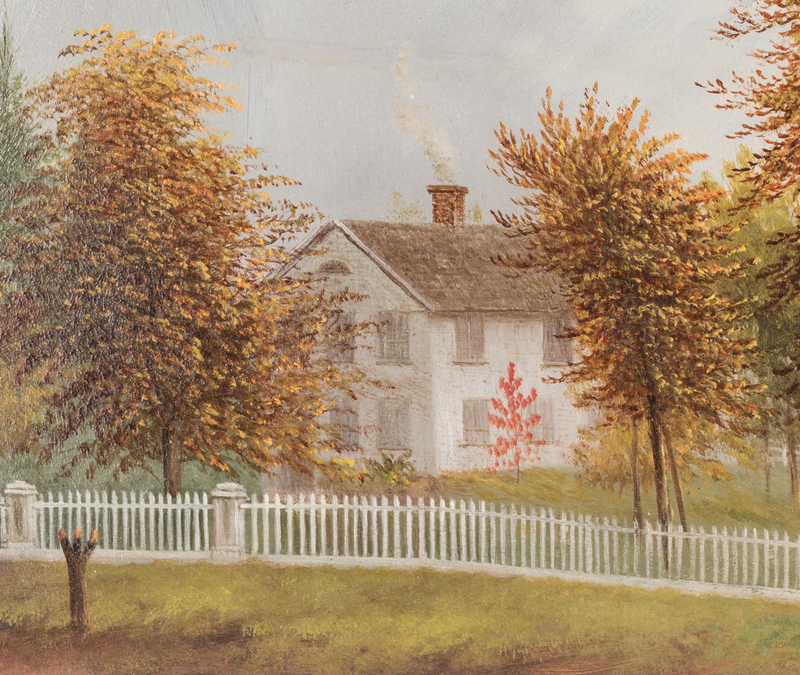 Findagrave.com states that James Harris, father of landscape painter Edwin Landseer Harris, was the longest-serving teacher of landscape painting in Rochester, NY in the 19th Century and was the first teacher of noted landscape painter Norton Bush. CONDITION: Very good condition with slight overall crazing. 2" L. horizontal brush stroke above chimney, possible overpainting, may be original.